The Town of Bassendean is located approximately 10 kilometres north-east of Perth and 5 minutes from the Swan Valley vineyards. With a total area of 11 square kilometres, the Town is bounded by the Swan River, the City of Swan to the north and the City of Bayswater to the west. It has a river frontage of 7 kilometres. 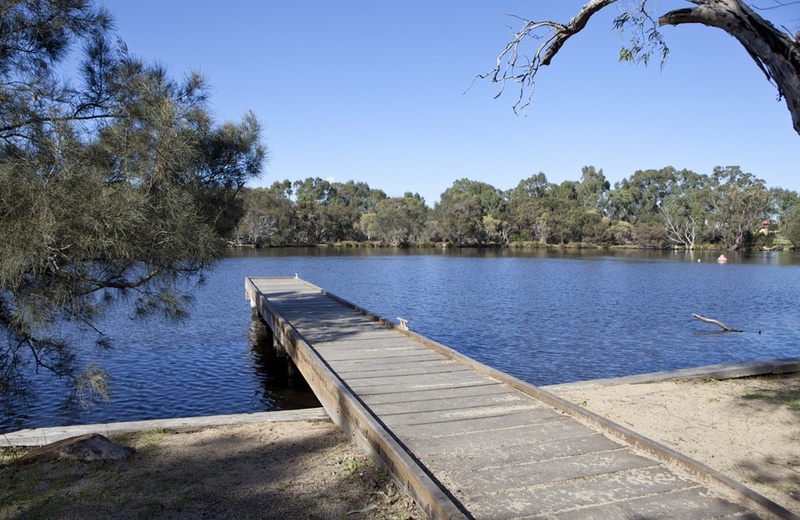 The Swan River is a scenic treasure, a playground, a natural drain and functional ecosystem. The trees and shrubs, rushes and sedges prevent soil erosion along the river. The nearby wetlands provide a natural habitat for frogs, water birds and tortoises. Our natural parks are home to birds such as silver-eyes, honeyeaters, willie wagtails, grey fantails, white-tailed black cockatoos, Australian kestrels, white cockatoos and the pink-and-grey galah, to name a few. The Bassendean Preservation Group works with the Council to preserve our natural bushland and wetlands. Bassendean is home to the Western Australian Rail Transport Museum which opened in 1974. The display has a collection of steam and diesel locomotives, most of which have been restored to operating conditions. Also as part of the collection are a number of carriages and other equipment associated including the Zanthus station and a signal box from the Perth city station. The West Australian Model Railway Club is also housed within the complex. The display’s centrepiece is a working scale model featuring engine characters from the children’s series Thomas the Tank Engine and Friends. Morley is a suburb of Perth, Western Australia within the City of Bayswater local government area, situated approximately 10 kilometres (6 mi) northeast of the Perth city centre. It contains the Centro Galleria, Perth’s second-largest commercial shopping centre, constructed in 1994. The Morley bus station is near the Centro Galleria. From the late 1950s, Morley (originally known as Morley Park) began to develop as a major shopping and commercial centre. The name Morley began appearing on maps around the turn of the twentieth century and was adopted when the Morley Park Estate was subdivided for urban development after the First World War. The most likely explanation for its use is that it commemorates Charles William Morley, who is known to have farmed in the area during the 1860s and 1870s. 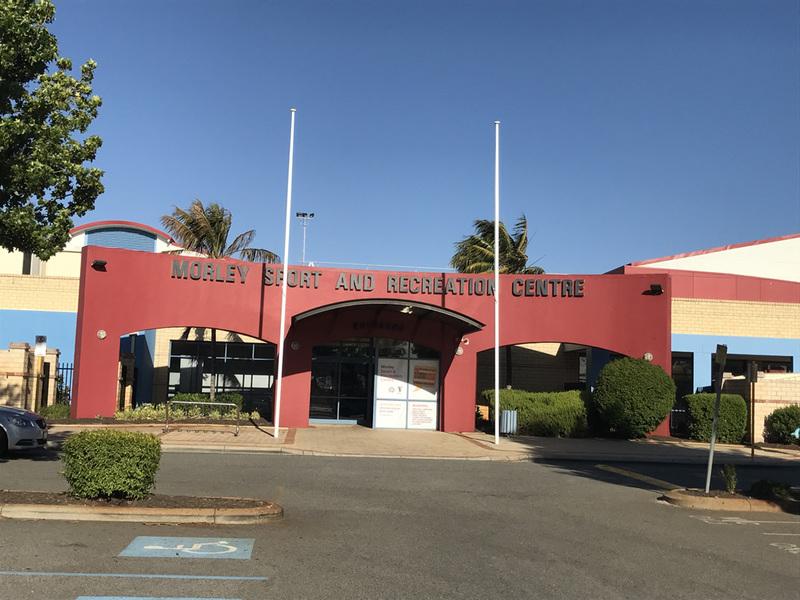 Morley Recreation Centre facilitates various sporting activities such as indoor soccer, basketball, badminton, netball., roller skating and roller derby. Teams compete in weekly matches and winners receive trophies at the end of each season. The Morley area was in the early days of the Swan River Colony developed with agriculture. The area was originally known as Morley Park. In 1929 a landowner progress association petitioned the Bayswater Road Board for improved roads and lighting for improved transport of produce to markets. Dianella is a suburb of Perth, Western Australia. It is within the local government area of the City of Stirling. Dianella was named after the botanical title of a small blue lily, Dianella revoluta, which is a narrow-leafed plant which was plentiful in the area prior to residential development. There are a number of small parks in Dianella and a large regional open space. Vicinity Centres Dianella is the major shopping centre in the suburb, with several smaller local stores. Education is provided by a number of primary schools as well as high schools in Mirrabooka and Morley. Dianella Regional Open Space is at the junction of Alexander Drive and Morley Drive and provides a landscape feature for the suburb as well as sporting facilities. The area is home to a number of sporting codes, including lacrosse, football, little athletics, soccer and cricket as well as many more indoor sports. Dianella is also part of Perth’s small Greek community, the second biggest hub for the Greek Orthodox Community in Perth, the biggest being in the centre of Northbridge. During the early 1990s, the Greek community of Perth wanted a Greek Orthodox College so that children of Greek origin can learn the Greek language and to be engaged in the Greek culture, while going to school. Noranda is a suburb of Perth, Western Australia, located in the City of Bayswater. The suburb was named in 1977 after Noranda Park, a town in Florida, USA. The portion north of Widgee Road was transferred to the City of Bayswater from the City of Swan on 1 July 2016. The suburb is a middle- to upper-middle class area with some affluent pockets. The population consists largely of families of white collar workers. Noranda is serviced by bus routes that run to Morley Bus Station, and two routes (371 and 344) that run to Warwick railway station. The main shopping centre in the suburb is Noranda Shopping Village (formerly Noranda Palms Shopping Centre, and Noranda Square Shopping Centre). The suburb has a number of junior sporting clubs including the Noranda Hawks Football Club, Noranda Junior Cricket Club and serves as a district in the WA Netball Association. The netball association provides a number of clubs and this in turn supports a large number of young children from neighbouring suburbs. Karrinyup is a suburb of Perth, the capital city of Western Australia, and is located 12 km north of Perth’s central business district. Its local government area is the City of Stirling. The name Karrinyup was originally derived from the word Careniup, a Noongar name for a nearby swamp which means “the place where bush kangaroos graze”. Karrinyup is bounded by North Beach Road to the north (Reid Highway is located just a few hundred metres further north), Marmion Avenue to the west, Newborough Street to the south and Huntriss Road and the country club to the east. About one-third of Karrinyup’s land area is reserve or bushland, or part of the suburb’s two golf courses. Karrinyup Road links Marmion Avenue and West Coast Highway to Mitchell Freeway through the suburb. The Karrinyup Shopping Centre contains a bus station, community centre and library as well as two major department stores. It was built in 1973 and has since been extended to offer 54,587 m² of retail accommodation with undercover and open-air parking. The centre also maintains active links to the surrounding community. More recently it implemented a walking program in conjunction with the Injury Control Council of Western Australia. Trained walking leaders accompany groups through the centre twice a week and perform both warm-up and cool down exercises. The Rotary Club of Scarborough also organises and operates a weekly swap meet, held each Sunday in the southern under cover parking area. Innaloo is a suburb of Perth, the capital city of Western Australia 9 km from Perth’s central business district in the local government area is the City of Stirling. Innaloo is a more established residential suburb that is also home to the Westfield Innaloo and Westfield Innaloo Megacentre shopping centres, and is adjacent to Perth’s largest cinema complex, the 18-cinema Greater Union Megaplex Innaloo. Innaloo is bounded by Karrinyup Road to the north, Huntriss Road to the west, Scarborough Beach Road to the south and Mitchell Freeway and the future line of Stephenson Avenue to the east. The majority of the suburb is residential, apart from the shopping areas in the south-east, several small parks and an undeveloped portion to the east of Ellen Stirling Boulevard. Some of the undeveloped area next to Stirling station has been developed as a commercial area centred on a new IKEA store. Innaloo contains the Westfield Innaloo shopping centre. Next to Westfield Innaloo on Ellen Stirling Boulevard is the Westfield Innaloo Megacentre (acquired from Centro in August 2006), which contains 20 stores and a Spud Shed (Formerly a Progressive Supa IGA, and before that an Action). Across Scarborough Beach Road is the Event Cinemas Megaplex. The northern part of the suburb also contains a small local shopping area in Morris Place. Opposite the Megacentre, an IKEA has been constructed, replacing the smaller store a kilometre away in the adjoining suburb of Osborne Park. Innaloo’s southern border with Woodlands hosts Perth’s largest cinema complex, the 18-cinema Event Cinemas Megaplex Innaloo, which contains Gold Class cinemas, as well as an arcade with numerous restaurants and dining speciality outlets, including Sizzler, Han’s Cafe, Bollywood Resto Bar and Retro Betty’s, and a game centre (centred on Timezone). 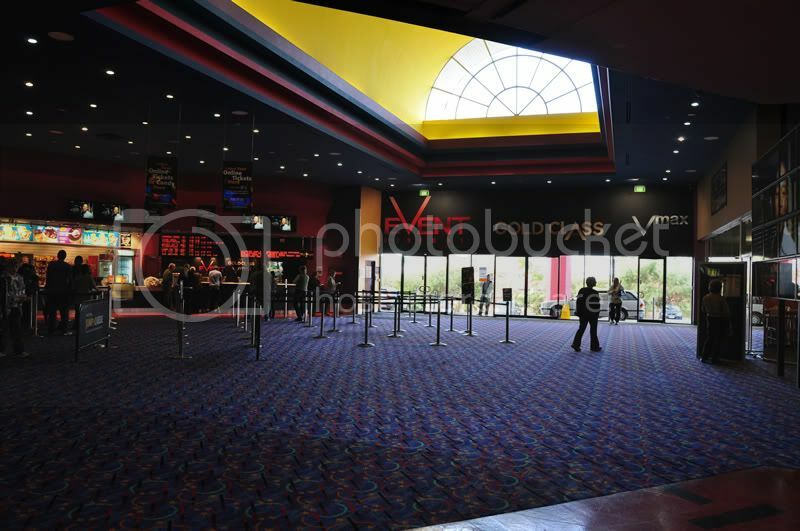 It started off life as an MGM drive-in in the 1950s, then was rebuilt by Greater Union in 1990 with 8 screens, then expanded to a Megaplex – the first in Western Australia – in 1996. During the 2000’s Greater Union was replaced with Event Cinemas which was Event Hospitality and Entertainment did to most of their Greater Union cinemas. Osborne Park is a suburb of Perth, Western Australia in the local government area of the City of Stirling. Osborne Park was named after William Osborne, a butcher who owned an abattoirs on Wanneroo Road and was elected to the Perth Road Board (the City of Stirling’s predecessor), in 1875. The suburb was originally market gardens, due to rich peaty soil from the swamps between Lake Monger and Herdsman Lake. The area was popular among Chinese, Italian and Yugoslav settlers. The suburb was founded by a private trading concern and had a tram service in the early 1900s through an extension of the Perth tram system from the end of the Leederville line. The suburb is now served by Glendalough train station on the Joondalup line. Many warehouses and small businesses are located in Osborne Park, as well as larger retailers such as Harvey Norman, Officeworks, Kambo’s, Rick Hart, IGA (formerly Supa Valu and Action Supermarkets) and Hungry Jack’s. The Acts 2 Bible College of Mission and Evangelisation is also located here. Main Street in Osborne Park is the Cafe, Shopping and Business strip hosting Cafes such as Amaretto, Cafe Bellini, Siderno and Villa Picasso. The Osborne Park shopping centre consists of major tenant IGA, Australia Post, Flight Centre, Montello Gourmet Deli, Meats Butcher, Salvia Hair design, Capellis Mens hair, Shoes Repairs/Cobler. Next to the Osborne Park Shopping Centre is a family owned Osborne Park Hotel/Pub/Restaurant and Harry Brownes Liquor Store and Drive through Bottle Mart. Sacbrough Beach Rd consists of the largest car yard precinct in Australia. Osborne Park is home to many sporting groups, most notably the Collingwood Crew Cycling Team that was established in 2013. Stirling is a suburb of Perth, the capital city of Western Australia, about 10 km north of Perth’s central business district (CBD) along the Mitchell Freeway. Its local government area is the City of Stirling, whose council offices and administration centre are located in the southwest of the mostly residential suburb. Stirling is an oddly-shaped suburb carved out of western Balcatta and northern Osborne Park. It is bounded Mitchell Freeway between Erindale Road and Hutton Street on the west and south, Amelia and Poincaire Streets to the north, and an uneven line running roughly south from Jones Street’s north-south section to the east. Lake estates and public parks, including the Stirling Civic Gardens, make up a moderate percentage of the suburb’s area. Stirling is host to the Osborne Park Hospital, a 205-bed community general hospital which offers some specialist services as well as radiology and pathology. There are no schools within the suburb, although Balcatta Senior High School is located on the northern boundary (Poincaire Street) and numerous primary schools are located in nearby Gwelup, Osborne Park and Balcatta. Stirling relies on the Stirling Village shopping centre, containing an IGA and specialty stores, in Cedric Street for basic commercial services, and Karrinyup Shopping Centre for other services. Numerous reserves and sports grounds are scattered throughout the area. The Stirling Lions soccer club is based just outside the suburb. Balcatta is a suburb of Perth, Western Australia. Its local government area is the City of Stirling. It is a primarily middle-class suburb made up of mainly Italian, Greek and Macedonian families, as well as many families from other European countries. It is also one of the largest suburbs in the northern part of the Perth metropolitan area. Much of Balcatta is a commercial and industrial area. Balcatta’s name was derived from the Aboriginal words “Bal” meaning “his” and “Katta” meaning “hill”. Jones Street is the longest street in Balcatta. Winding through the locality, Jones Street has had repeated work done by the local council to resurface it out and make it safer for both pedestrians and motorists. A number of new round-abouts have been constructed in order to slow down traffic at various points on the road. Jones Street also runs past Takari Primary School and ends at Delawney Street behind the Water Corporation Depot and Stirling Recycling Plant. Jones Paskin Reserve is a large oval mainly utilised in the summer as a cricket oval and for general use by the local community. This is the home ground of the Balcatta Cricket Club. A strange, large man by the name of Striker can often be found here rolling his arm over in the hope of improving his 10-pin form. He is said to enjoy multiple beverages mid-pitch and shouts obscenities at the local community when approached. In January of 2018, despite much community upheaval, the local man striker has moved to unfamiliar ground near Wangara. Carine is a suburb of Perth, the capital city of Western Australia, and is located 14 kilometres (9 mi) north of Perth’s central business district (CBD) between Marmion Avenue and Mitchell Freeway. Its local government area is the City of Stirling. The name “Carine” was derived from the two swamps in the area, which were recorded by R. Quinn in a survey in 1865 as “Big Carine Swamp” and “Small Carine Swamp”. Carine originally formed part of the Hamersley Estate, which also included the suburbs now known as North Beach, Waterman and Hamersley. Carine is bounded by Beach Road to the north, Mitchell Freeway to the east, North Beach Road to the south and Marmion Avenue to the west. Carine Regional Open Space sits between Duffy/Monyash Roads and Okely Road, and represents about one-third of the suburb. Reid Highway runs through the southern part of the suburb, and is the suburb’s outlet to the Mitchell Freeway and the city. Carine is a residential suburb, relying on the Carine Glades shopping centre on its northern boundary for basic commercial services, and nearby Karrinyup Shopping Centre and Centro Warwick for other services. The suburb is served by a primary school, and a high school (grades 7-12). Carine Regional Open Space is a wetland reserve centred on the two large swamps, and is home to many rare waterbirds, frogs, turtles and other wildlife. They are served by walking and bicycle tracks. The northern end of the open space contains sports facilities, ovals and a skateboard ramp. North Beach is a northern coastal suburb of Perth, the capital city of Western Australia 16 kilometres (10 mi) from Perth’s central business district via Mitchell Freeway and Reid Highway. Its local government area is the City of Stirling. The name North Beach began as a descriptive name, derived from the suburb being at the time the most northerly of Perth’s beaches. It was assigned in 1888 when surveyor Charles Crossland referred to the pastoral leases of Samuel Richard Hamersley as his “north beach coastal run”. North Beach is bounded by Hale Street to the north, Marmion Avenue to the east, an imprecise line near Lynn Street to the south and West Coast Drive and the ocean to the west. Star Swamp represents one-third of the suburb’s area. Reid Highway empties into North Beach’s eastern border, and is the suburb’s outlet to the Mitchell Freeway and the city. North Beach is a residential suburb, with small shopping areas on the coast and at Flora Terrace and Castle Street which offer basic commercial services. Nearby Karrinyup Shopping Centre provides other services. North Beach features a tennis club (synthetic and hard surfaces) near Our Lady of Grace. The suburb contains North Beach Primary School and the private Our Lady of Grace school – Carine Senior High School is nearby. Trigg is a suburb of Perth, Western Australia. Its local government area is the City of Stirling. Trigg Island is a small island off the coast of the suburb of Trigg. Trigg Beach is one of Perth’s most popular beaches for board riding, catering mainly to surfers and body boarders alike, with a small majority of swimmers. In summer, shifting sand fills the channel between the Blue Hole and Trigg Point take off point for a long continuous wave ride to Trigg Beach. Trigg also has a snorkeling beach, Mettams Pool, which is to the north of the main surf/swim area. Trigg nature reserve is situated opposite Trigg Beach. It is also known to be a common meeting point and lookout for the local surfing community. With playground protection from the sun and sea breeze, Clarko beach side reserve near Trigg Island is one of the most popular parks in the City of Stirling. 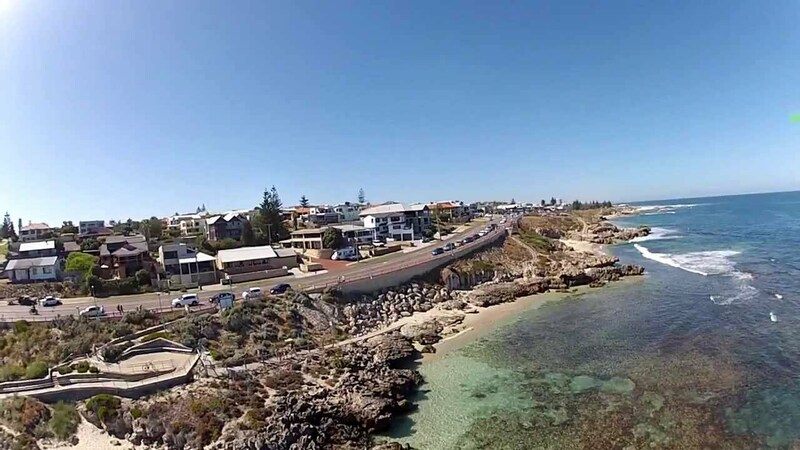 Clarko Reserve was created when beach shacks were demolished and shack owners were compensated with sub-divided blocks of residential land further east in the new Trigg suburb of Perth Western Australia.